KZ Gross-Rosen was set up in the summer of 1940 as a satellite camp of the Sachsenhausen concentration camp from Oranienburg. Initially, the slave labour was carried out in a huge stone quarry owned by the SS-Deutsche Erd- und Steinwerke GmbH (SS German Earth and Stone Works). 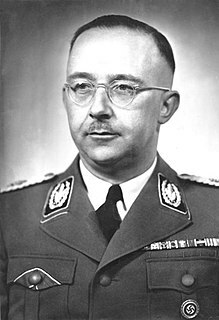 In the fall of 1940 the use of labour in Upper Silesia was taken over by the new Organization Schmelt formed on the orders of Heinrich Himmler. It was named after its leader SS-Oberführer Albrecht Schmelt. The company was put in charge of employment from the camps with Jews intended to work for food only. Sachsenhausen or Sachsenhausen-Oranienburg was a Nazi concentration camp in Oranienburg, Germany, used primarily for political prisoners from 1936 to the end of the Third Reich in May 1945. After World War II, when Oranienburg was in the Soviet Occupation Zone, the structure was used as an NKVD special camp until 1950. The camp ground with the remaining buildings is now open to the public as a museum. The Expulsion of Poles by Nazi Germany during World War II was a massive Nazi German operation consisting of the forced resettlement of over 1.7 million Poles from all territories of occupied Poland with the aim of their geopolitical Germanization between 1939–1944. The expulsions were justified by Nazi racial theory, which depicted Poles and other Slavs as racially inferior Untermenschen. Nacht und Nebel was a directive issued by Adolf Hitler on 7 December 1941 targeting political activists and resistance "helpers" in World War II to be imprisoned or killed, while the family and the population remained uncertain as to the fate or whereabouts of the Nazi state's alleged offender. Victims who disappeared in these "Night and Fog" actions were never heard from again. Due to a change of policy in August 1942, prisoners were likely to survive longer because they were needed as slave workers in German war industries. Among the companies that benefited from the slave labour of the concentration camp inmates were German electronics manufacturers such as Blaupunkt, Siemens, as well as Krupp, IG Farben, and Daimler-Benz, among others. Some prisoners who were not able to work but not yet dying were sent to the Dachau concentration camp in so-called invalid transports. 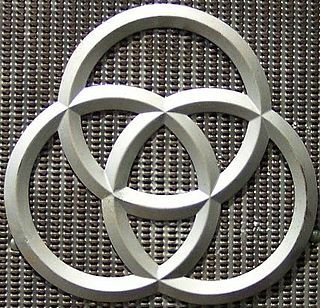 Blaupunkt (help·info) GmbH is a German manufacturer of electronics equipment, noted for its home and car audio equipment. It was a 100% subsidiary of Robert Bosch GmbH until 1 March 2009, when its Aftermarket and Accessories branch including the brand name were sold to Aurelius AG of Germany for an undisclosed amount. After a troublesome past and several changes in ownership and reorganizations it filed for bankruptcy in late 2015 with liquidation proceedings completed in early 2016. Siemens AG (Aktiengesellschaft) is a German conglomerate company headquartered in Berlin and Munich and the largest industrial manufacturing company in Europe with branch offices abroad. The Krupp family, a prominent 400-year-old German dynasty from Essen, is famous for their production of steel, artillery, ammunition and other armaments. The family business, known as Friedrich Krupp AG, was the largest company in Europe at the beginning of the 20th century, and was important to weapons development and production in both world wars. One of the most powerful dynasties in European history, Krupp flourished for 400 years as the premier weapons manufacturer of Germany. From the Thirty Years' War until the end of the Second World War, it produced battleships, U-boats, tanks, howitzers, guns, utilities, and hundreds of other commodities. The largest population of inmates, however, were Jews, initially from the Dachau and Sachsenhausen camps, and later from Buchenwald. 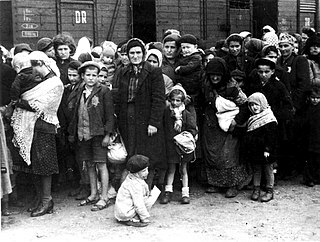 During the camp's existence, the Jewish inmate population came mainly from Poland and Hungary; others were from Belgium, France, Netherlands, Greece, Yugoslavia, Slovakia, and Italy. At its peak activity in 1944, the Gross-Rosen complex had up to 100 subcamps,  located in eastern Germany, Czechoslovakia, and occupied Poland. In its final stage, the population of the Gross-Rosen camps accounted for 11% of the total inmates in Nazi concentration camps at that time. A total of 125,000 inmates of various nationalities passed through the complex during its existence, of whom an estimated 40,000 died on site, on death marches and in evacuation transports. The camp was liberated on 14 February 1945 by the Red Army. A total of over 500 female camp guards were trained and served in the Gross-Rosen complex. Female SS staffed the women's subcamps of Brünnlitz, Graeben, Gruenberg, Gruschwitz Neusalz, Hundsfeld, Kratzau II, Oberaltstadt, Reichenbach, and Schlesiersee Schanzenbau. 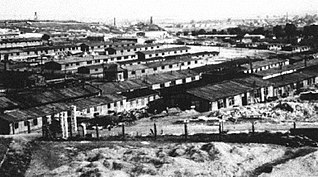 One subcamp of Gross-Rosen was the Brünnlitz labor camp, situated in the Czechoslovakian town of Brněnec, where Jews rescued by Oskar Schindler were interned. "...healthy looking prisoners were selected to break in new shoes for soldiers on daily twenty mile marches. Few prisoners survived this ordeal for more than two weeks." 1 2 The Gross-Rosen Museum in Rogoźnica. Homepage. 1 2 3 "Historia KL Gross-Rosen". Gross-Rosen Museum. 2014. Retrieved 19 February 2014. 1 2 3 4 Alfred Konieczny (pl), Encyclopaedia of the Holocaust . NY: Macmillan 1990, vol. 2, pp. 623–626. ↑ Holocaust Encyclopedia (2014), Gross-Rosen. United States Holocaust Memorial Museum. 1 2 3 Megargee, Geoffrey P. (2009). The United States Holocaust Memorial Museum Encyclopedia of Camps and Ghettos, 1933-1945: pt. A. The early National Socialist concentration camps. Introduction to the early camps. Indiana University Press. pp. 717–731. ISBN 978-0-253-35429-7. ↑ Marszałk, Józef (1986). Majdanek: The concentration camp in Lublin. Interpress. ISBN 978-83-223-2138-6. ↑ "Nazi War Crimes Trials: Gross Rosen Trial (August 12 - October 7, 1948)". Jewish Virtual Library. Retrieved 2019-01-15. ↑ "Filie obozu Gross-Rosen" [Subcamps of Gross-Rosen, interactive]. Gross-Rosen Museum (Muzeum Gross Rosen w Rogoźnicy). Retrieved 16 October 2014. Natzweiler-Struthof was a German-run concentration camp located in the Vosges Mountains close to the Alsatian village of Natzwiller in France, and the town of Schirmeck, about 50 km (31 m) southwest of the city of Strasbourg. Natzweiler-Struthof was the only concentration camp established by the Nazis on French territory, though there were French-run temporary camps such as the one at Drancy. The Neuengamme concentration camp was a network of Nazi German concentration camps in Northern Germany that consisted of the main camp, Neuengamme, and its over 85 satellite camps. Established in 1938 near the village of Neuengamme in the Bergedorf district of Hamburg, the Neuengamme camp became the largest concentration camp in Northwest Germany. Over 100,000 prisoners came through Neuengamme and its subcamps, 24 of which were for women. The verified death toll is 42,900: 14,000 in the main camp, 12,800 in the subcamps, and 16,100 in the death marches and bombings during the final weeks of World War II. Following Germany’s defeat in 1945, the British Army used the site as an internment camp for SS and other Nazi officials. In 1948, the British transferred the land to the Free Hanseatic City of Hamburg, which summarily demolished the camp’s wooden barracks and built in its stead a prison cell block, converting the former concentration camp site into two state prisons operated by the Hamburg authorities from 1950 to 2004. Following protests by various groups of survivors and allies, the site now serves as a memorial. It is situated 15 km southeast of the centre of Hamburg. Flossenbürg was a Nazi concentration camp built in May 1938 by the SS Main Economic and Administrative Office in a remote area of the Fichtel Mountains of Bavaria, Germany, near Flossenbürg and the border with Czechoslovakia. The camp's initial purpose was to exploit the forced labor of prisoners for the production of granite for Nazi architecture. In 1943, the bulk of prisoners switched to producing Messerschmitt Bf 109 fighter planes and other armaments for Germany's war effort. Although originally intended for "criminal" and "asocial" prisoners, after Germany's invasion of the Soviet Union, the camp's numbers swelled with political prisoners from Eastern Europe. It also developed an extensive subcamp system that eventually outgrew the main camp. Stutthof was a Nazi German concentration camp established in a secluded, wet, and wooded area near the small town of Sztutowo 34 km (21 mi) east of the city of Danzig in the former territory of the Free City of Danzig. The camp was set up around existing structures after the invasion of Poland in World War II, used for the imprisonment of Polish leaders and intelligentsia. The actual barracks were built the following year by hundreds of prisoners. The Aufseherinnen were female guards in German concentration camps during the Holocaust. Of the 55,000 guards who served in German concentration camps, about 3,700 were women. In 1942, the first female guards arrived at Auschwitz and Majdanek from Ravensbrück. The year after, the Nazis began conscripting women because of a guard shortage. The German title for this position, Aufseherin means female overseer or attendant. Later female guards were dispersed to Bolzano (1944–45), Kaiserwald-Riga (1943–44), Mauthausen, Stutthof (1942–45), Vaivara (1943–44), Vught (1943–44), and at other Nazi concentration camps, subcamps, work camps, detention camps, etc. Helmbrechts concentration camp was a women's subcamp of the Flossenbürg concentration camp founded near Hof, Germany in the summer of 1944. The first prisoners who came to the camp were political prisoners from the Ravensbrück camp in northern Germany. Mühldorf was a satellite system of the Dachau concentration camp located near Mühldorf in Bavaria, established in mid-1944 and run by the Schutzstaffel (SS). The camps were established to provide labor for an underground installation for the production of the Messerschmitt 262 (Me-262), a jet fighter designed to challenge Allied air superiority over Germany. Rogoźnica is a village in the administrative district of Gmina Strzegom, within Świdnica County, Lower Silesian Voivodeship, in south-western Poland. Historically, prior to 1945 it was part of Poland, Bohemia, Austria, Prussia and Germany. Rogoźnica lies approximately 7 kilometres (4 mi) north-west of Strzegom, 21 kilometres (13 mi) north-west of Świdnica, and 54 kilometres (34 mi) west of the regional capital Wrocław. The village has a population of 856. Oranienburg concentration camp was an early German concentration camp, one of the first detention facilities established by the Nazis in the state of Prussia when they gained power in 1933. It held the political opponents of German National Socialist party from the Berlin region, mostly members of the Communist Party of Germany and social-democrats, as well as a number of homosexual men and scores of the so-called undesirables. The Gabersdorf forced labour camp and later a Nazi concentration camp located at Libeč in Czechoslovakia. In the camp, Jewish women were detained who worked at the textile factories of Hasse and company, Etrich, and Vereinigte Textilwerke K. H. Barthel. The camp was established in 1941 and became a subcamp of Gross-Rosen on 22 March 1944. The typical camp meal was a soup of water and rutabaga. Daily rations declined in quality and quantity over time; as the war progressed, the prisoners' daily portion of bread was decreased to 220 grams. The camp was liberated on 6 May 1945. The Grafenort concentration camp — as treated in the present article — is a conventional name for three separate Nazi concentration camps that functioned in the village of Grafenort on the territory of Nazi Germany during the Second World War. Harthoorn, W.L. (2007). Verboden te sterven: Oranjehotel, Kamp Amersfoort, Buchenwald, Grosz-Rozen, Dachau, Natzweiler. ISBN 978-90-75879-37-7. Willem Lodewijk Harthoorn (nl), an inmate from the end of April to mid-August 1942: Verboden te sterven (in Dutch: Forbidden to Die), Pegasus, Amsterdam. Teunissen, Johannes (2002). Mijn belevenissen in de duitse concentratiekampen. ISBN 978-90-435-0367-9. Druhasvetovavalka.cz collection of photographs from the KZ Gross-Rosen World War II field trip. Wikimedia Commons has media related to KZ Gross-Rosen .